Is it time to move your child from a cot to a bed? These tips on transitioning your toddler into a big bed will help make the move straight forward and stress free with minimal fears, tears and trips into your room. Leaving the cot can be hard for bub and for mum. But rather than focus on the sad reality that your little one is growing up, embrace this major milestone and make the move into a new bed an exciting experience for everyone. 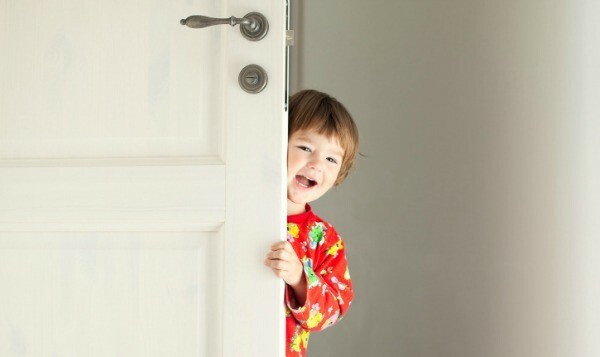 When is the right time to move your toddler into a big bed? Most parents will consider the move when their child is between the ages of two and three. If your child starts climbing out of the cot or if you are having another baby, these are also signs that is a good time to make the move. Start the process a few weeks in advance by answering any questions or concerns your toddler may have. 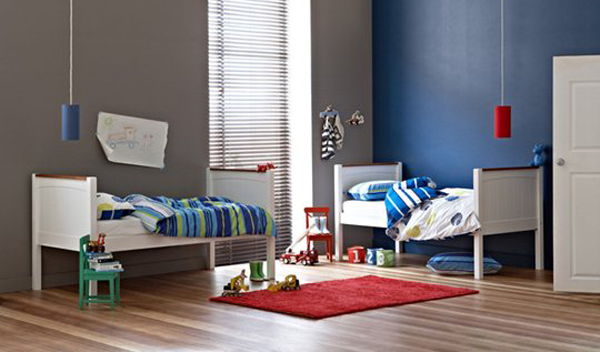 Introduce your child to the wonderful world of bedroom furniture and build excitement around this new found freedom. 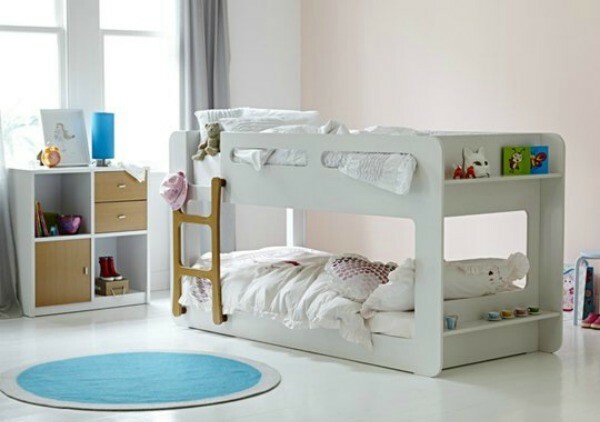 The Snooze kids’ bed range is a great place to start for children’s bedroom inspiration, with beds including the sturdy Options single bed bunk (above) which rather cleverly can also separate into two single beds (below) for very young children. If you have the space, you may wish to keep the cot in the room with the new bed for a couple of weeks. That way if your toddler isn’t comfortable right away, there is still a cot right there during the night. An ideal first bed is one that is low to the ground, such as the Mini Me compact single bunk (above) which puts safety first. It is also great for older kids during sleepovers. Another good option for first-time beds is one with a mattress trundle that you can pull out just in case your toddler rolls out of bed, such as the stylish Phoenix bed with trundle and bookshelf. It might be a good idea to also purchase a bed rail. Make sure you position the bed away from any windows that easily open as well as curtains and blind cords that could get caught around your child. Mark this momentous occasion by letting your toddler help choose the bed, bed sheets, the doona, the wall stickers, the colours and more. Giving your child (partial) creative reign over this space can help it feel like a safe zone, rather than an unfamiliar place. We love the look of the Calypso Single Bookend bed (above) combined with the adorable forest critters theme. The deep purples and pinks, simple decor and hints of bright yellow create an idyllic sleeping space. Less is more and too much action in the bedroom can cause over-stimulation. Select only a few toys to bring into the bedroom and stick to a simple theme. The main focus should be a comfortable bed, such as the elegantly designed Venus standard single headboard (above) with slimline base from Snooze. The comfortable cushioned headboard paired with the always-popular Sealy emperor mattress can provide a dream sleep for your little one. And the simple decor and calming green feature wall is a perfect combination for a soothing sleep. Your child will most likely love the idea of having a new ‘big’ room, especially if your toddler selected some of the decor. However, there is a big difference between loving the big bed during the day and loving it at night. 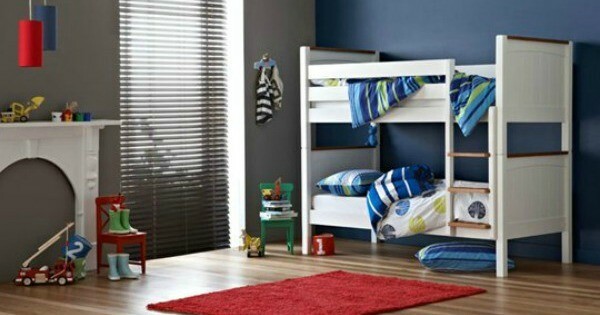 Make the space as comfortable as possible by spending time in there with your child. Read books, do puzzles and play games on the new bed. Create a secure zone with night lights or glow-in-the-dark stickers. Add a family photo to the nightstand to help your toddler settle or play soft music for a calming way to drift off to sleep. Worried that your child won’t stay put in bed and you will end up with company every night? If you prefer to sleep without little feet in your face, then you need to set some ground rules. When your toddler comes into your room, immediately take your child back. Stay for few moments and sternly but lovingly explain that it’s time to sleep. If you are not above bribery, you can also use a reward system to help prevent the late night walkabouts. 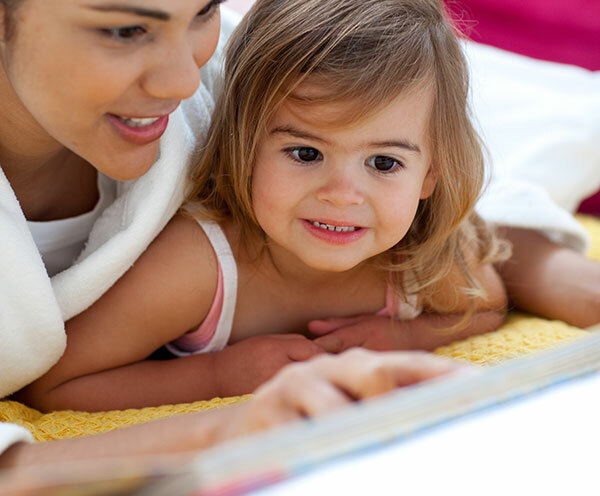 Hopefully these tips will help you with this milestone event in your little one’s life. 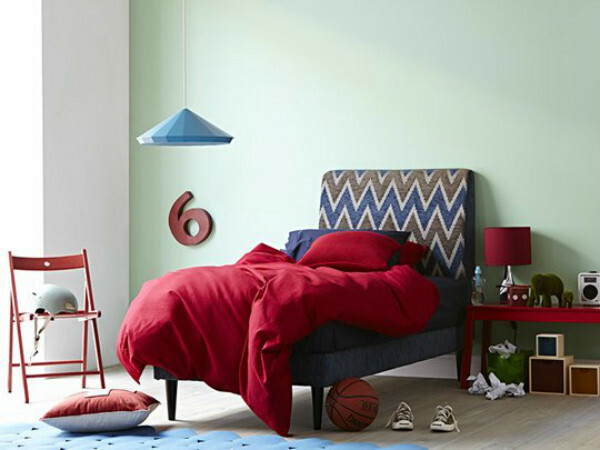 Be sure to check out Snooze to find the perfect first-time bed, mattress and furniture for your child that combines comfort, style, practicality and affordability. Good luck and sweet dreams.